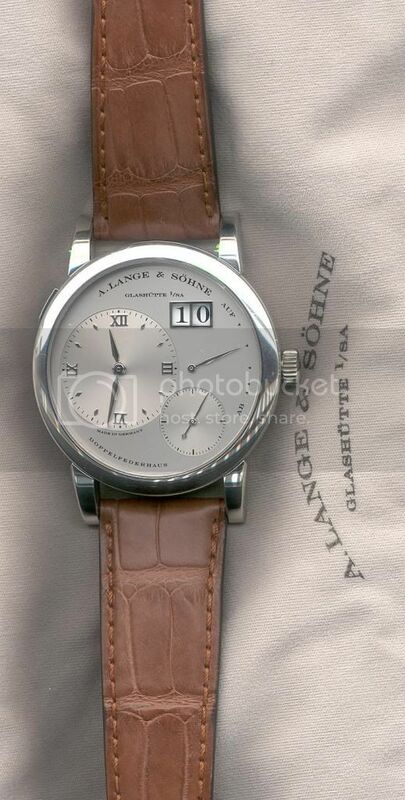 TimeZone : A. Lange & Söhne » Fast and dirty. being a real gentleman. Thanks also to all of you for giving me such wise guidance in my prior posts. from 2004 sealed the deal for me on this one. Would have never guessed this light brown band would work so magically with platinum. Will soon be contacting Lange to locate a similar band. Previous Topic: Fast and dirty.